Reason #1: They’re All About You. Call it what you will—self-centered, narcissistic, myopic. Most of the emails we see from brands are all about them. About their products, what they sell, what they need—not what the builder needs. What type of home builders are they—custom or production? Are they a Top 100 production builder? Or one of what we refer to as The Forgotten—the custom, small, regional or green builders. Reason #2: You Don’t Know Building. According to research done by industry expert Mark Mitchell, brands don’t have the knowledge base to market to or work with builders. Or to read an email. So get your salespeople out to meet with builders. Get them talking one-on-one with the builder’s marketers, purchasing staff and construction manager. Encourage them to ask questions and learn how the builder makes and loses money. Finally, make sure your people are visiting job sites, model homes and sales centers to see first-hand the current realities for today’s builders. Reason #3: You’re Not Talking Solutions. If you’re product-centric, you’re not problem-centric. Which means you can’t possibly talk solutions. To get through to today’s builders, you need to show the builder that you know his business and what his challenges are. For example, according to the networking organization Builder Partnerships, mid-tier builders—those builders we call The Forgotten—are the engines of change in the housing industry, often looking for opportunities to implement new features and designs. Manufacturers can gain traction with The Forgotten by positioning products as solutions, communicating benefits in terms of homebuyer demand and builder profitability. Reason #4: You’re Ignoring Purchasing. Whether you like it or not, the purchasing manager is the gatekeeper for most builders. And yes, it’s his job to be focused on price, but not price alone. Again according to Builder Partnerships, the Forgotten builders are far too busy to make product decisions solely based on price. Reason #5: You’re Emailing Too Much, Too Often. According to marketing specialist HubSpot, email takes up 28% of a worker’s time during the day, making it the second most time-consuming business activity. That’s because the average corporate worker sends and receives 105 emails a day. Who knows how many a home builder faces on an average day! What’s more, 47% of email is opened on a mobile device, when people are on the go and doing other things. Let’s face it: for most of us—including super busy home builders—email is a chore. So ask yourself: are you emailing your targets too often? And are you trying to say too much? HubSpot recommends emails be no longer than about 150 words: five sentences or less. Subject lines are key: they should be short and to the point. And If you think the topic you’re emailing about will require a lot of back and forth, use something else to communicate with — like the phone. 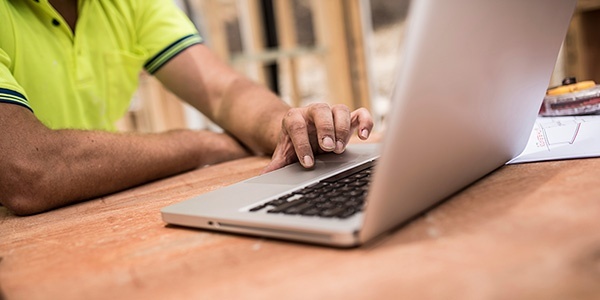 Brands that want to get through to home builders need to rethink the who, when and what for the emails they’re creating, particularly when targeting The Forgotten. By understanding individual builder businesses and challenges, and by focusing on problems, solutions, service and relationships, brands will redeem their email strategies and win with The Forgotten, building loyalty and sales. Looking for more marketing strategies to connect with The Forgotten building segment, before, during and after their builds? We have the answers in our new e-book, 'Marketing to The Forgotten.' This downloadable resource illustrates new ways for building products brands seeking to build their knowledge base with builders, increasing brand loyalty and product sales during the key stages of the new construction process. Get the details and get to know building, download our e-book now.